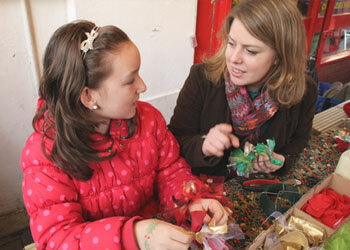 Leona has been teaching her own Art and Craft Workshops for Adults and Children in London for well over a decade. Leona graduated with a Degree in Applied Arts in 2001. She started by painting glassware while at University and selling at markets in London and Festivals across the UK. In 2003 she joined a Company who sold Craft products as their Development Manager, overseeing concession stands in Hamleys, Harrods and at UK Trade Fairs. In 2006 Leona designed, made and installed a series of curvaceous Sculptural Seats for Mile End Park, East London. They are a permanent feature in the park so you can still visit them today! 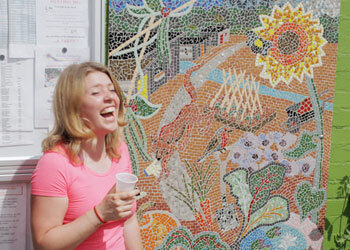 In 2009/2010 Leona worked for a Community Art Organisation in 10 London Schools doing Drawing and Mosaic Workshops. 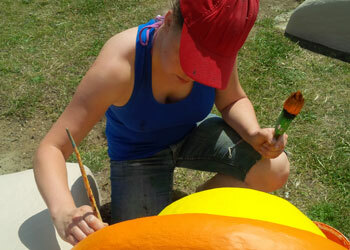 They made beautiful permanent outdoor Mosaic Murals with the children to decorate the School’s playground walls. Leona set up Artists Resource Art and Craft Workshops for Adults and Children in 2011. Since then, Leona has been teaching her own unique Art and Craft Projects at Birthday Parties, Clubs, Classes and Workshops. She has also been bringing large scale Community Art to Events in London – you may have seen the colourful giant animal sculptures in local galleries, museums and community centres that hundreds of hands have helped create! For more information about Leona as an Artist, please visit LeonaMatuszak.com. Leona is fully Insured, DBS checked (previously CRB) and first aid appointed. She loves to inspire all age groups in their pursuit of learning new skills and creating beautiful things in a supportive and enthusiastic environment. Based in North London, she brings her workshops across both London and the U.K. Please email Leona or call 07905 603 332 to book.